Posted on March 19, 2016 by Hector M.
Have you ever had a photo you wanted to fix and asked yourself how can I edit a photo for free online? The truth is you’re not alone. 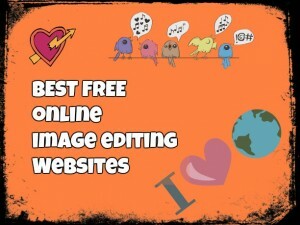 This is why at Online Convert, we are reviewing the best free Online image editing websites available. There are many people on the Internet who are constantly looking for free photo editing websites to use. Devices which allow people to access the web and take photos, have made the need for editing websites even greater. Not everyone can afford or use the mother of all editing programs which is Photoshop. While Photoshop is an awesome powerful program to edit and manipulate images, it is also very expensive and difficult to use. It takes a while before you can finally learn to do major edits to an image on Photoshop. Still, don’t lose hope just yet. For those who cannot afford or who do not want to download expensive programs, there are great sites which let you do it all online for free. Below, are some great ‘photoshop websites’ or sites which let you easily edit, add text, crop or do various things to your photos. With one of the most easiest and full-featured imaging editing tools for free use Online, Pixlr Editor is one of the best picture editors available for free on the internet. Possessing an interface which looks similar to Photoshop, Pixlr allows the user to choose from many features and tools. It also gives you numerous choices of how deep you really want to get into editing your photos. Pixlr does operate within its very own application frame which allows it to save the photos in its own format; as well as five other universal ones. These include TIFF, JPEG, PNG, PXD and BMP formats. However, in the event that these are not the formats you want to use for your photos, you can always easily convert them to numerous others here on Online Convert. At first glance, LunaPic may seem like it really doesn’t have too many features to offer photo editors. However, once you begin to play around with the alteration tools found on the site, you will discover that there are plentiful to choose from. The conservative looking blue canvas icon toolbar may seem too small when you first look at it. Still, it has quite a few unique and very useful effects and photo edits to select from. There are ads on both the top and right hand sides of the site though. Nevertheless, it’s a small price to pay for such a great free Online picture editing tool. 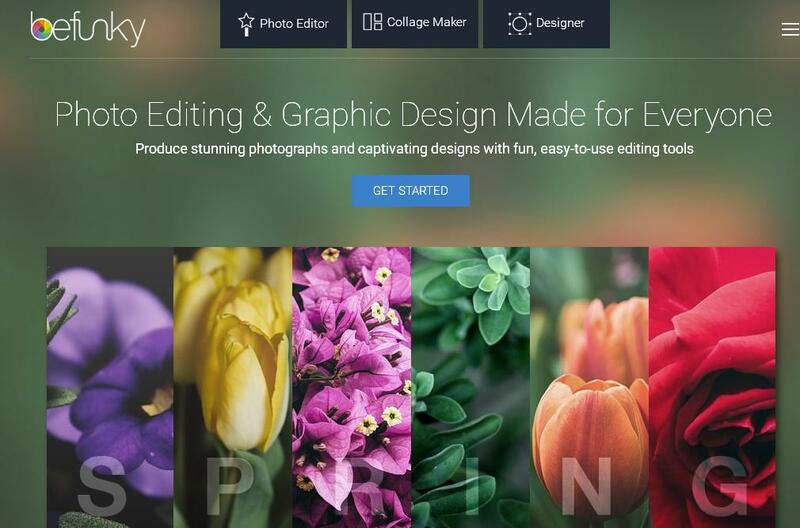 With a name like BeFunky, this site offers some of the best free online photo editing special effects out there. 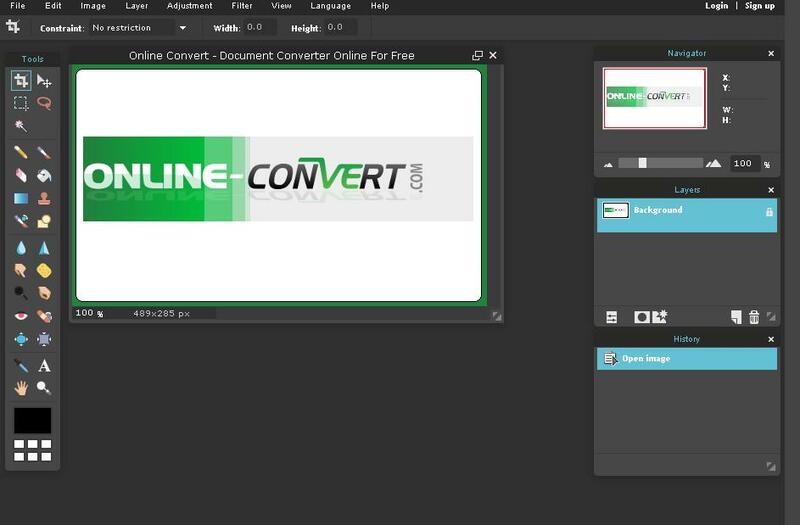 Although some users may find their interface annoying or too busy due to ads, it is still a great Online editing program to use. It has a lot of sophisticated elements from which to choose from. There’s also a vast collection of backgrounds and stickers to select from. If you want to get funky with your photo, BeFunky has linkify paints, loads of grunge frames and a cartoonizer as well. For those that simply want to do quick edits, add text to photos or crop & resize an image without too much hassle, then Ipiccy is the site to use. With a very easy to use interface, Ipiccy allows you to quickly do some edits to your photos in no time. One of the best things about this site is the lack of ads or pop-ups you normally see in other Online spots. That in itself is a great reason to make this such a great free Online photo editing tool. You can also create a collage of photos or make your own designs. You can even take your very own webcam photos and apply stunning effects to them. If you have not heard, there’s a monkey out there that can actually edit your pics. We are referring to the PicMonkey site which lets you do some cool & basic photo editing without having to download anything. Upon entering the site, you may take a few seconds to figure out where to go exactly. This is because, unlike Pixlr or other sites, PicMonkey doesn’t land you directly into the editing interface. Instead, you see four icons on the top to choose from. They are the edit, touch up, design and collage icons. Selecting either one of these will allow you to upload your photos and begin to make your edits or add special effects to them. 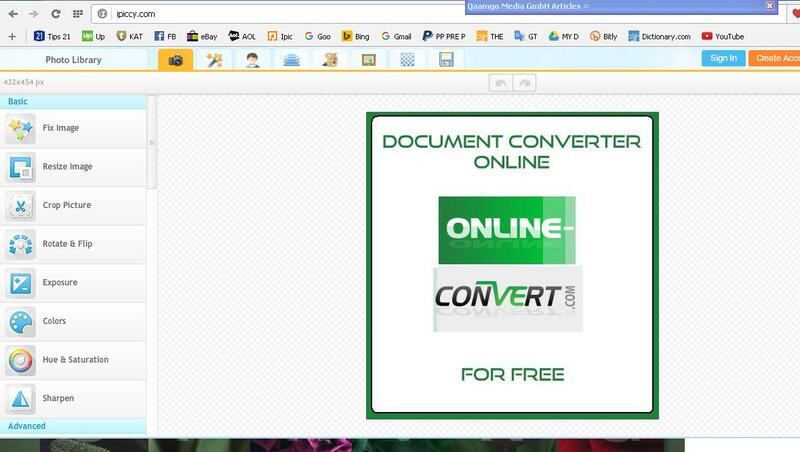 Of course, there are ads on both the bottom and right sides of the site. Still, they offer you a free trial Royale version which is good for 30 days. Royale membership gets you overlays, fonts, ads-free editing, effects, and touch-up tools. While these are just some of the best free Online image editing websites available, there are many others as well. Websites you can also find some great editing tools on are sites like FunPhotoBox.com, Blingee.com, Loonapix.com and Picnik.com. No matter which site you choose, just keep in mind that converting them to the proper format you may need can be done here in a few free and simple steps. ← Microsoft Edge – What Can This New Browser Do?